Haul: Korean Beauty Products from Niasha | Memorable Days : Beauty Blog - Korean Beauty, European, American Product Reviews. Hi girls! Today I am sharing my Korean Beauty Products haul from the webshop Niasha. Niasha is a shop located in Switzerland. That's right, another shop that's based in Europe! I just love that more and more people are opening Korean shops in Europe. Makes it way easier for us to purchase them while having a short delivery time as well. They offer brands like Dr Jart, Elizavecca, Etude House, Holika Holika, Innisfree and more! 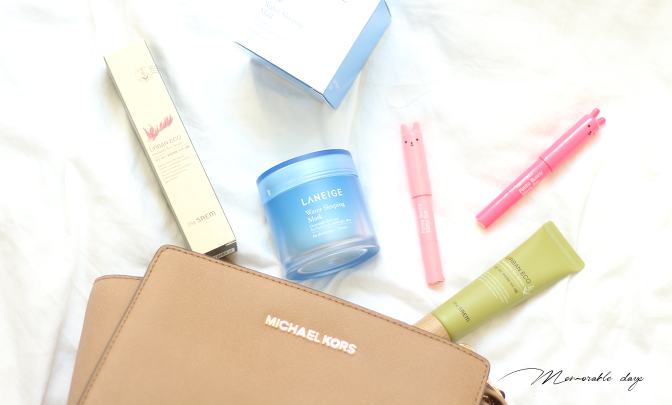 Check out my haul in today's blogpost! Ohhh, I have used their old version before but this is the improved version so I am curious if there is any difference. 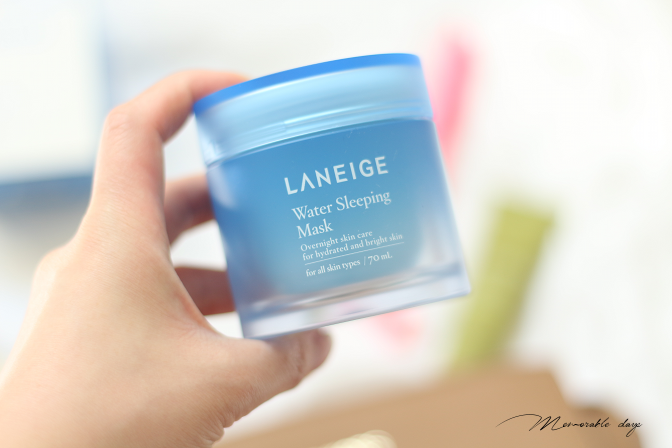 This is one of the best-selling items from Laneige. It restores the skin to its optimal condition overnight by purifying and normalizing skin fatigued due to daytime stress, for cleaner and brighter skin in the next morning. I can remember the amazing cooling effect their previous version had. Niasha is selling it for €30,29 on their webshop. 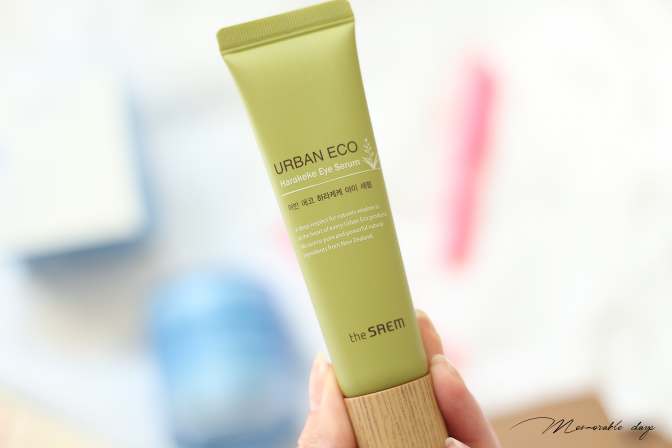 I have seriously never tried anything from The Saem before, this is my very first one! This is an eye serum that comes in a green tube packaging. I can't wait to write a review about this one! It's a highly concentrated eye treatment for dry and sensitive skin, formulated with the moisturising Harakeke plant from New Zealand. Niasha is selling it for €14,96. Ohhh I have been wanting to try these for a long long time but never had the chance to try it. 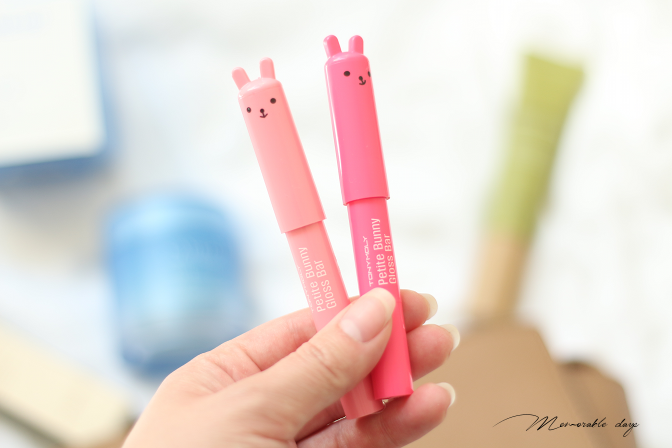 These are the petite bunny gloss bars from Tony Moly. Ain't the packaging adorable? I have got it in two shades, I will swatch them in a separate blogpost. Niasha is selling them for €6,56 and they got 9 shades in total. DO YOU WANT TO READ A REVIEW OF ANY OF THE ABOVE PRODUCTS? note: I got these products for review purposes, see disclaimer.